After finishing last year with only four wins, the Los Angeles Rams start off near the bottom of the 2017 NFL Power Rankings. The 2017 NFL Power Rankings are finally here now that it’s the offseason, and after a 4-12 finish last season, it shouldn’t come as a surprise to see the Los Angeles Rams start off towards the bottom of the list. On the bright side, at least starting off this low means the team can only go up from here. 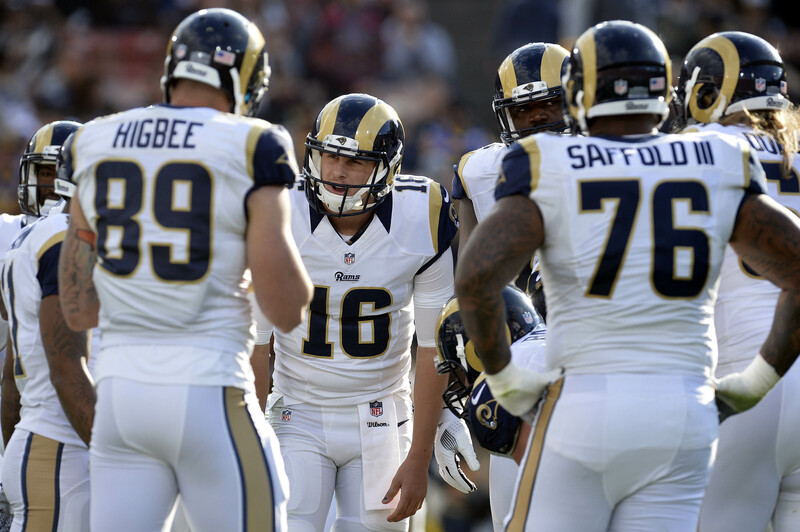 Expectations were high at first for the Rams heading into the 2016 season after finishing with a 7-9 record the year before, but Jeff Fisher‘s squad took a major step backwards instead of forward after the offense couldn’t figure out a way to get rolling, no matter who was under center. Originally, Fisher believed veteran Case Keenum was the answer to make Los Angeles surprise contenders in the NFC, but that clearly wasn’t the case since he would eventually be replaced with Jared Goff. 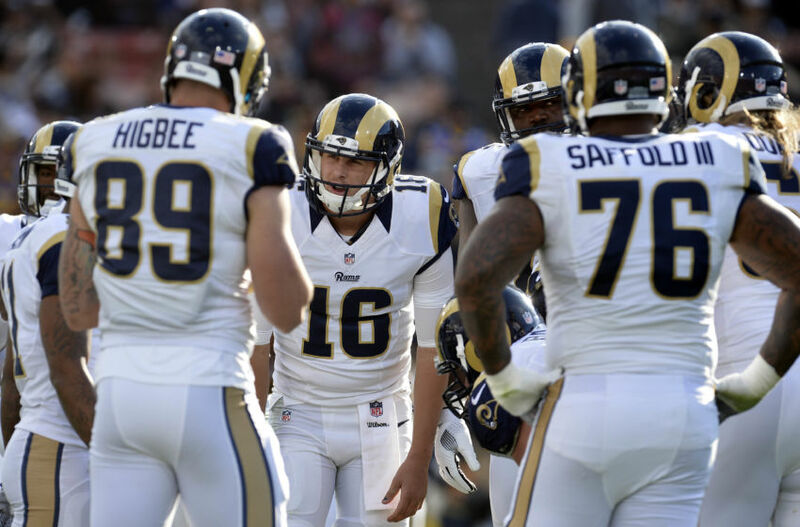 Even though the Rams planned on having Goff learn from the sidelines as a rookie at first, the experience by the former California star will hopefully payoff during his sophomore season. Between the hiring of Sean McVay, who worked wonders with Kirk Cousins, along with the addition of a few key assistants, the sky could be the limit for Goff in 2017, but he still has a long way to go. Los Angeles made it obvious this year there’s a good chance this team is still another year or two away from becoming real contenders in the NFC after the offense averaged just 14 points per game last season. With the offseason officially underway, take a look at where the Rams currently stand compared to the other 31 teams in the 2017 NFL Power Rankings. 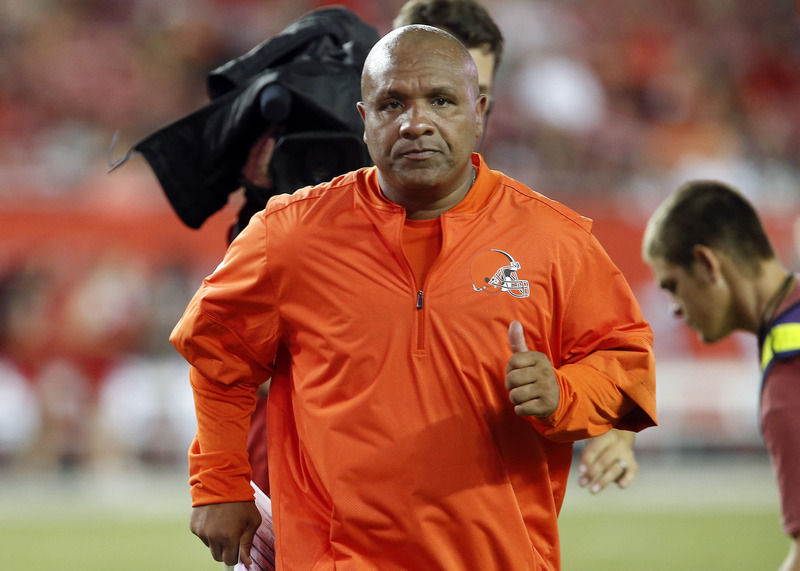 Originally, the Cleveland Browns were hoping to see Hue Jackson be the answer at head coach, and while he deserves more time to prove himself, the new era certainly didn’t get off to a great start. 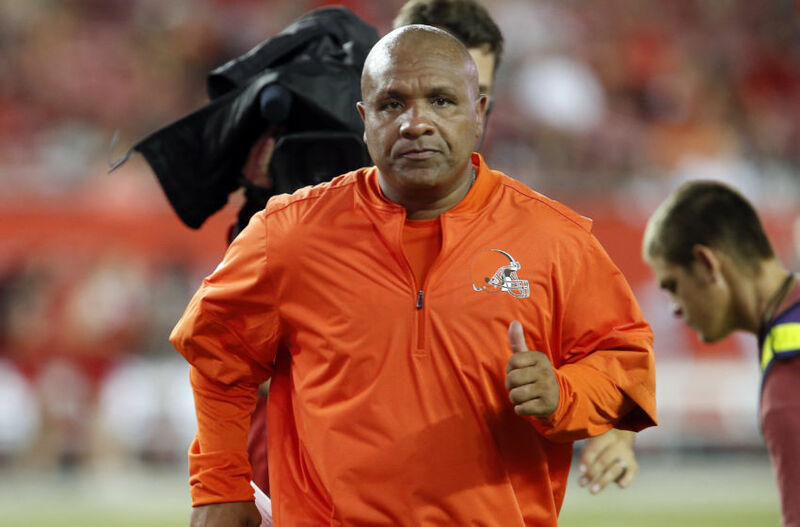 The fact that it took the Browns until Week 16 against the San Diego Chargers to record their first win of the year shows how rough 2016 was for Jackson and company. The good news for Cleveland is thanks to their trade with the Philadelphia Eagles last year, the team will have two picks in the first round in the upcoming draft, which could work wonders if they use the selections to their advantage. It may be unfair to judge Robert Griffin III off one season since he only appeared in five games, but the Browns should strongly consider drafting a rookie to build the franchise around. Quarterback has been a major concern for too long with this team, and if they’re going to have any chance of finally moving up from the basement in the AFC North, they issue needs to be addressed. On a positive note, at least Terrelle Pryor seems capable of continuing to handle the responsibilities as a top wide receiver for Cleveland. As if losing the Super Bowl to the New England Patriots wasn’t already tough to process, Kyle Shanahan now faces the challenge of turning around a terrible team in the San Francisco 49ers coming off a 2016 season in which they only won two games. 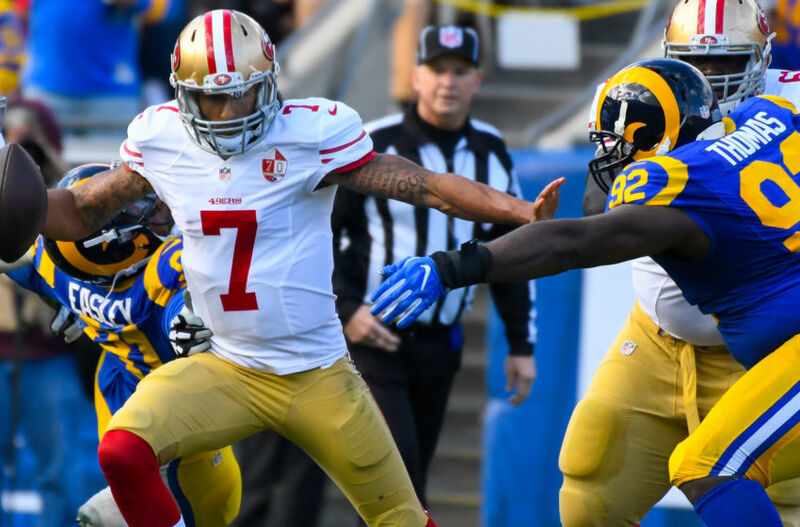 To top it off, both of those wins happened to come against the Los Angeles Rams, which means the 49ers have plenty of areas in need of improvement heading into 2017. Shanahan has been waiting a long time for an opportunity at a head-coaching job, and after seeing the type of success displayed with running Matt Ryan and the Falcons’ offense this past season, it’s easy to see why San Francisco wanted to bring him on board. Even if the 49ers seem to be a few years away from being contenders, Shanahan realizes the team needs to start somewhere, mainly the quarterback position. 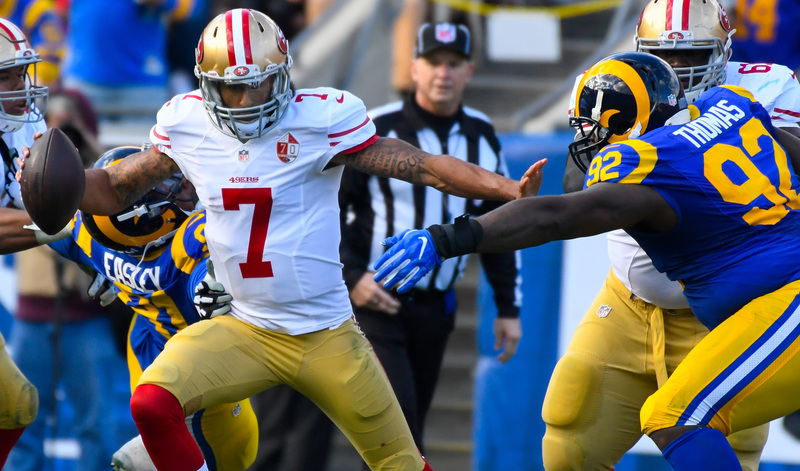 Colin Kaepernick proved this year he’s far from the answer for this team at quarterback since he’s nowhere close to being at the elite level he was at a few years ago. This year’s draft class has plenty of potential talent at the quarterback position, and don’t be surprised if Shanahan strongly considers using their first-round pick on one. How much fun is it going to be following the Chicago Bears in the offseason? 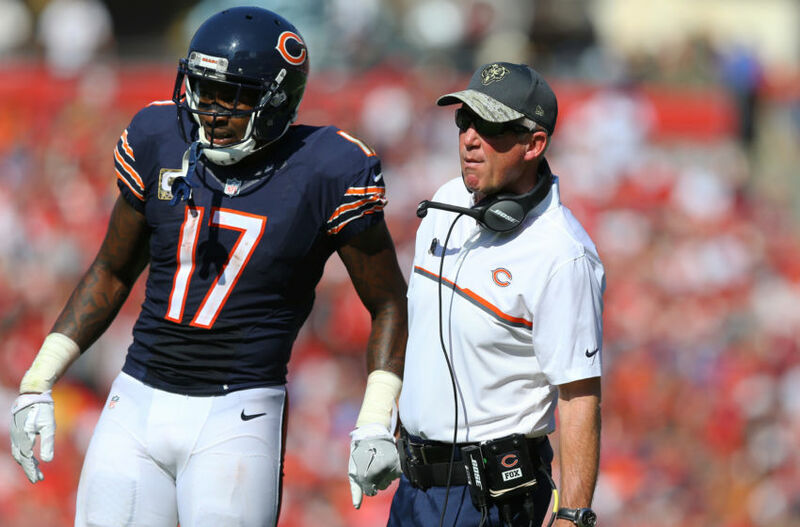 From seeing what happens with Alshon Jeffery at wide receiver to the team figuring out whether it’s time to move on from Jay Cutler at quarterback, the Bears are one of those teams with plenty of big decisions on their plate over the next few months. For the third year in a row, Chicago finished at the bottom of the NFC North after combining for only 14 wins, nine of which have come over the last two seasons with John Fox at head coach. Not only have the Bears given Cutler every opportunity in the world to prove himself over the years, but numerous reports indicated his leaderships skills were drawn into question by some of his teammates this past season. Only time will tell when it comes to Chicago deciding what their plans are for Cutler, but it doesn’t look good for the veteran quarterback. It would be one thing if Cutler had made a strong case for himself in 2016, but it certainly didn’t help his cause that he only played in five games. On another note, at least the Bears were able to figure out Matt Barkley doesn’t have what it takes to be their starter at quarterback instead of considering him for the job next year. Remember at the beginning of the season when the Los Angeles Rams seemed capable of being a potential sleeper in the NFC after jumping out to a 3-1 start? 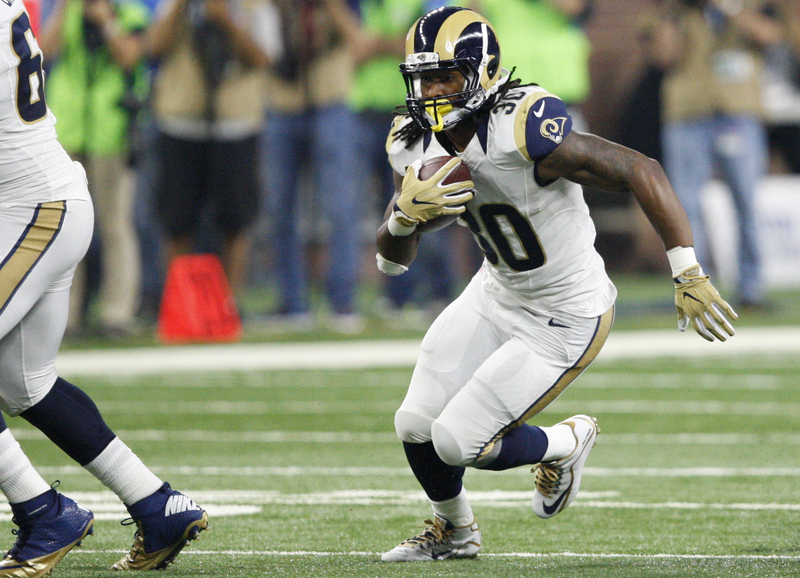 Instead of competing for the division with the Seattle Seahawks and Arizona Cardinals, the Rams would become the laughing stock of the NFL on offense by only averaging 14 points per game in 2016 while losing 11 of their final 12 games. So where does Los Angeles go from here to make sure they win more than four games in 2017? Well for starters, at least the team made the right decision to fire Jeff Fisher towards the end of the season before eventually making Sean McVay the youngest head coach in NFL history heading into next year. Along with McVay, the Rams brought Wade Phillips on board to lead Aaron Donald and the rest of the defense. McVay will most likely go through the normal growing pains of head coaches in their first year, but it’s tough not to get excited about the potential surrounding this team. 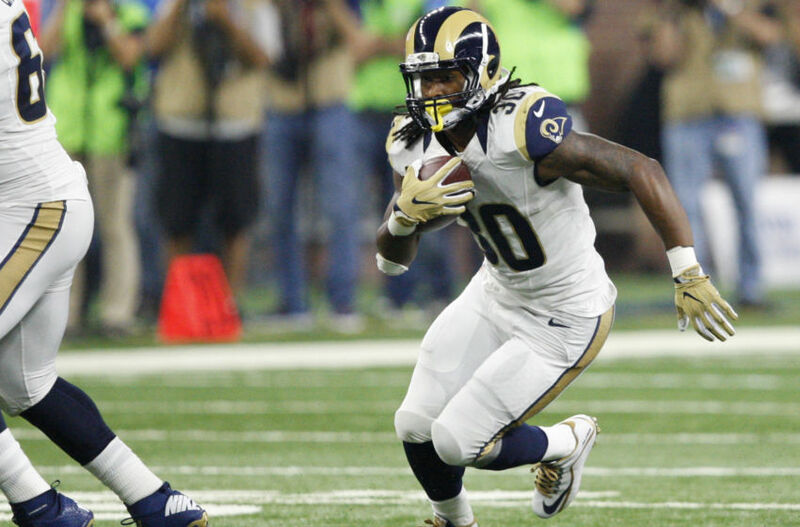 But if this team is going to reach their true potential, Los Angeles will need to build more weapons around Jared Goff and Todd Gurley on offense. In 2015, Blake Bortles elevated his game to the next level after completing 35 touchdown passes, providing the Jacksonville Jaguars with higher expectations than normal at the beginning of this season. Thanks to Bortles, the Jaguars finally seemed ready to become possible contenders in the AFC, but it didn’t take long for those dreams to disappear. 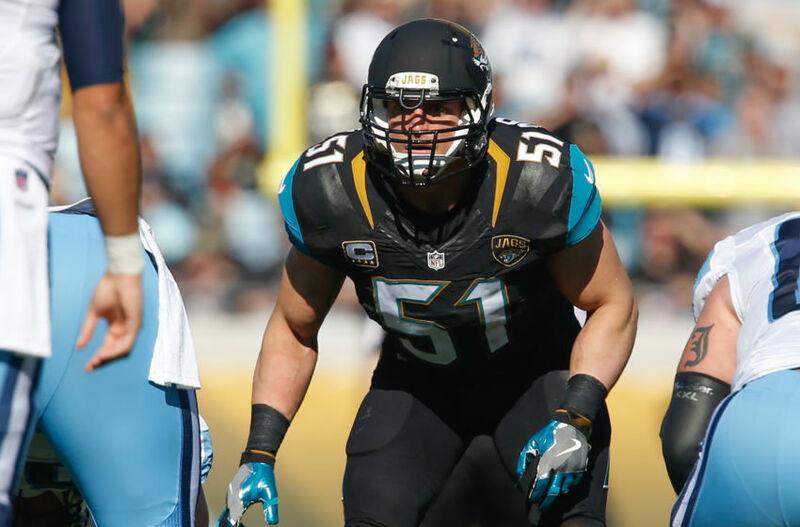 To watch Jacksonville take a major step backwards by finishing the year with only three wins was a huge disappointment for this team, and sadly it ended up costing Gus Bradley his job at head coach. 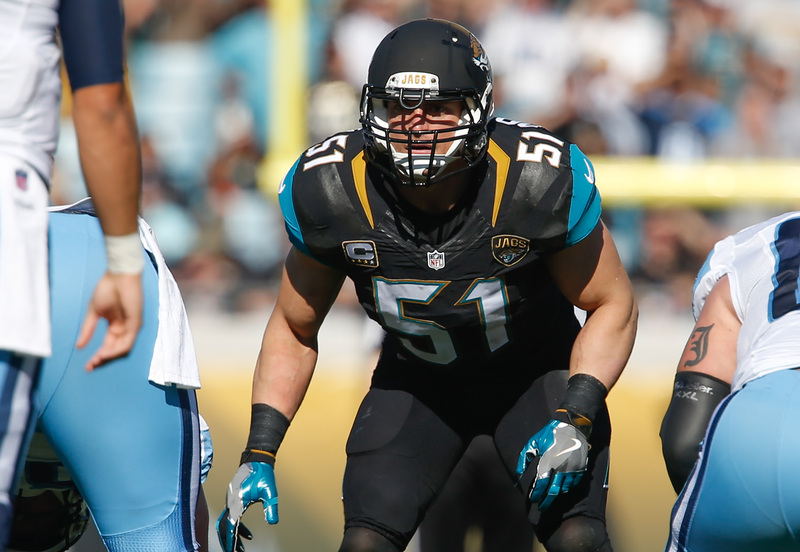 With Bradley officially out of the picture, the team decided to give former interim head coach Doug Marrone a chance to prove himself in 2017, but that still doesn’t guarantee Bortles will keep his job at quarterback. When looking at how Bortles failed to take advantage of having two talented wide receivers in Allen Robinson and Allen Hurns in 2016, the team obviously has concerns about whether he’s the right answer at quarterback. Even if Marrone does end up giving him one final shot to prove himself at quarterback, it still doesn’t take away from the amount of pressure Bortles will be facing just to keep his job beyond 2017. Speaking of teams that failed to live up to the hype, let’s talk about how much of a disaster this season turned out for the New York Jets after falling just shy of reaching the playoffs the previous year. 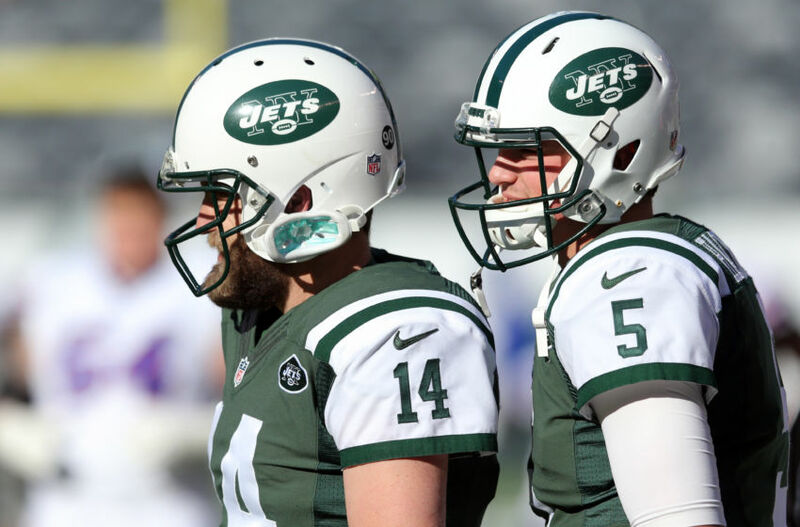 Everyone expected the Jets to emerge as one of the teams to beat in the AFC during Todd Bowles‘ second year as head coach for the team, but the team struggled to overcome a 1-5 start before eventually going on to win just five games all season. As much as New York doesn’t want to hear it, this team is an absolute mess heading into the offseason with plenty of big decisions to make at numerous positions, especially at quarterback. Thank goodness the Jets didn’t give in to Ryan Fitzpatrick‘s demands last offseason by rewarding the veteran with a long-term deal when seeing how much he struggled throughout the 2016 season. From New York’s perspective, the smart move would be to start fresh, and select a quarterback in the upcoming draft to build the franchise around since none of the current ones on the roster seem to be the right fit. Not to mention Darrelle Revis seems to be washed up, and looked like anything but a dominant cornerback this past season when seeing how often receivers would blow by him. For the second season in a row, the Los Angeles Chargers (formally San Diego) should have won more games than their record indicates when seeing how many times they lost by single digits. Sadly, this was a major issue for the Chargers during the 2015 season as well, and to see nine of their 11 losses end up being by single digits was one of the most frustrating things in the world to witness. With that being said, a fresh start in the city of Los Angeles could work wonders for this team with a new head coach and plenty of young talent on both sides of the football. Anthony Lynn finds himself in a better position than most new head coaches since the Chargers seem like a team capable of overcoming their 5-11 finish to become contenders again in the AFC. 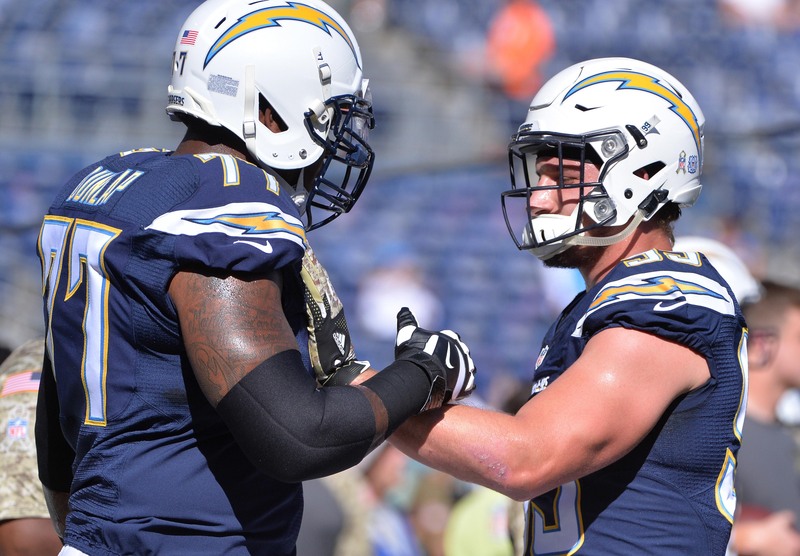 No one knows how many solid seasons Philip Rivers has left in him at quarterback after the veteran threw for 33 touchdowns in 2016, but also set a career high with 21 interceptions. 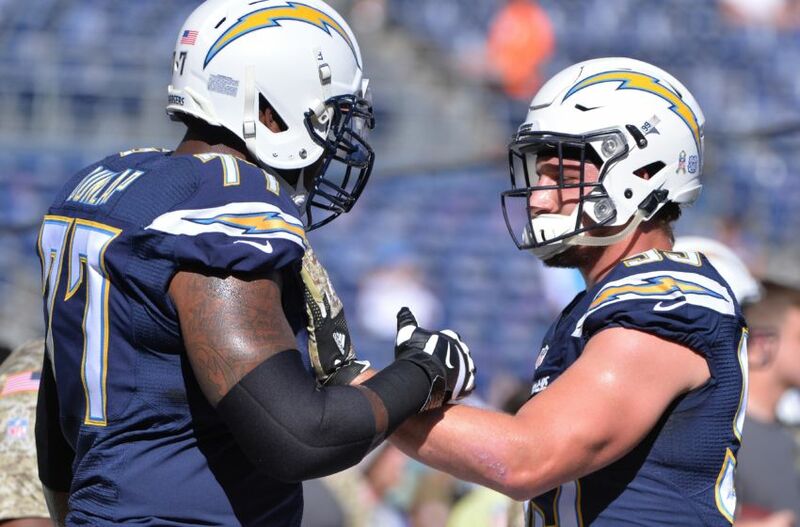 Even if this past season didn’t go according to plan, at least Los Angeles has to be thrilled over their young stars on the rise in Melvin Gordon and Joey Bosa. 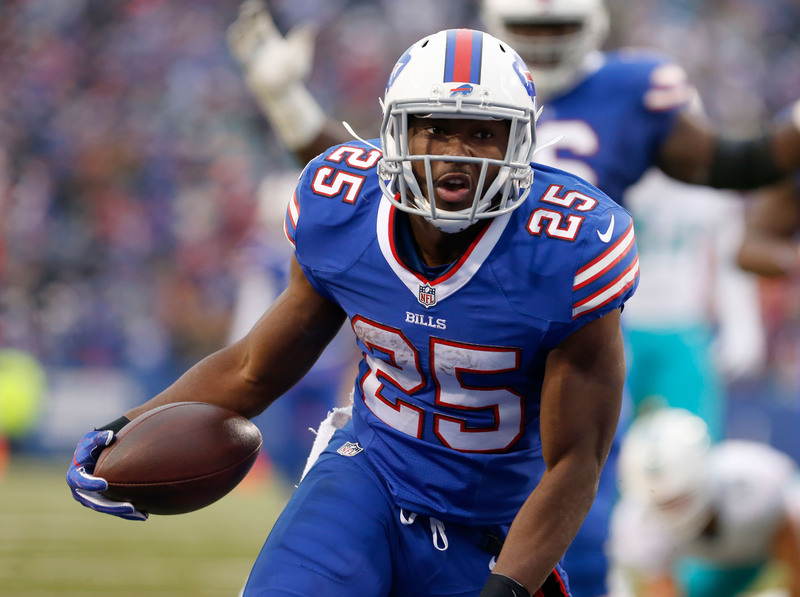 At one point early in the season, the Buffalo Bills seemed to be one of the teams to beat in the AFC after bouncing back from an 0-2 start to win their next four games. Unfortunately for the Bills, everything went downhill from there, as they would go on to win just three more games over the remainder of the regular season. With Sean McDermott finally receiving an opportunity at head coach now that Rex Ryan is out of the picture, it will be interesting to see how the former defensive coordinator handles his first year when looking at some of the questions they have to deal with during the offseason. 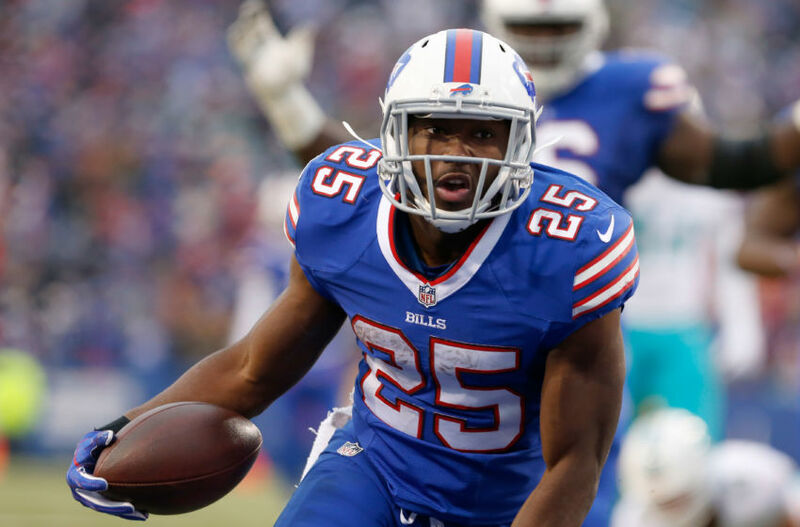 LeSean McCoy continues to make a case for being one of the top running backs in the league, but whether Tyrod Taylor is the right fit at quarterback is a completely different story. Taylor has certainly showed signs of greatness at times over the last two years, but he doesn’t always display the monster numbers most teams are looking for in a quarterback. Then again, the Bills haven’t exactly done the best job of providing Taylor with the best options at wide receiver, which makes this process even more difficult to figure out. 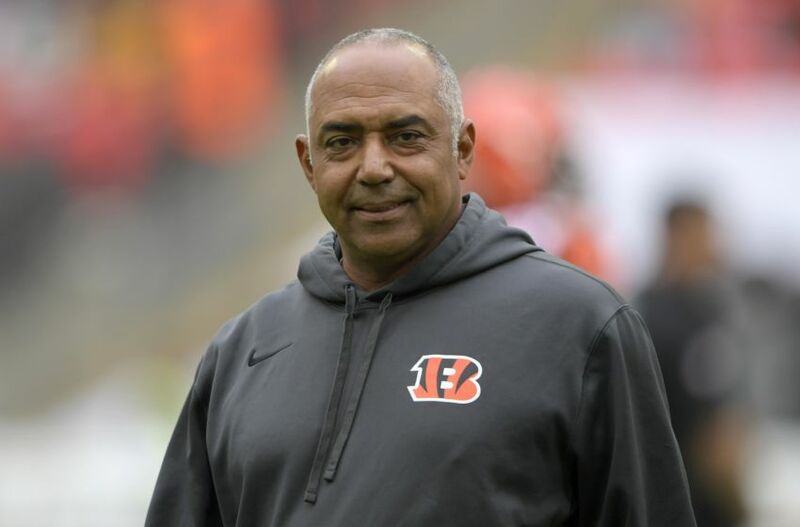 Every year, the Cincinnati Bengals always seem to be one of the favorites in the AFC, and while they tend to live up to the expectations by making the playoffs, this year turned out to be a different story for Marvin Lewis‘ squad. 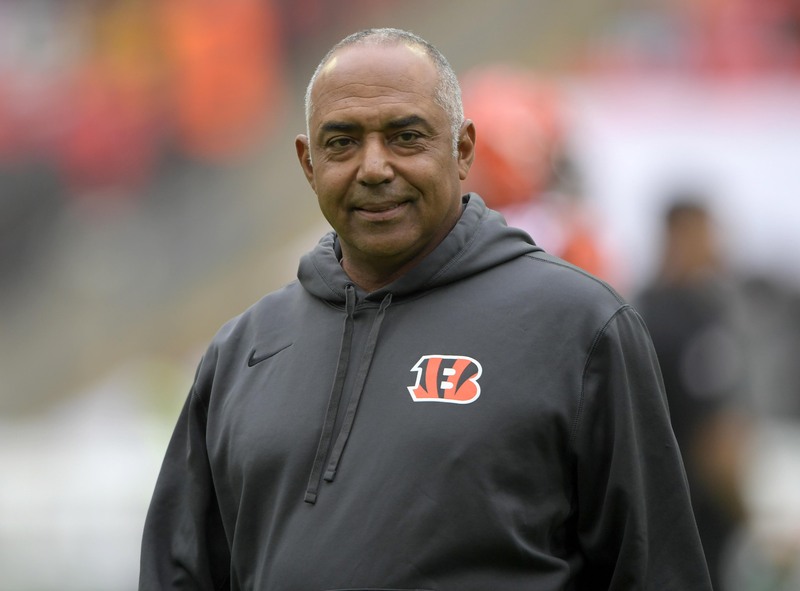 The Bengals saw their streak of five playoff appearances in a row come to an end in 2016 after finishing with a 6-9-1 record, and to top it all off, Lewis still has a job. It’s amazing to think how Lewis has been to the playoffs seven times since taking over as head coach in 2003, and he is still search for that first win with the Bengals. Any other coach in his situation would have been fired years ago, but for some reason Cincinnati continues to give Lewis more chances than he deserves since it always ends in the team falling short of their goals. On paper, the Bengals appeared to have one of the best overall teams in the league with a defense that always ranks near the top of the league along with an offense led by Andy Dalton and A.J. Green. Maybe if Cincinnati struggles again in 2017, that will finally be the last straw for the organization when it comes to parting ways with Lewis. Just like the Cincinnati Bengals, the Indianapolis Colts face a similar situation at head coach when it comes to the future of Jim Irsay. Even though the team should have parted ways with him after the Colts failed to make the postseason last year, for some reason the organization is willing to give Irsay another chance to prove he deserves to be head coach. 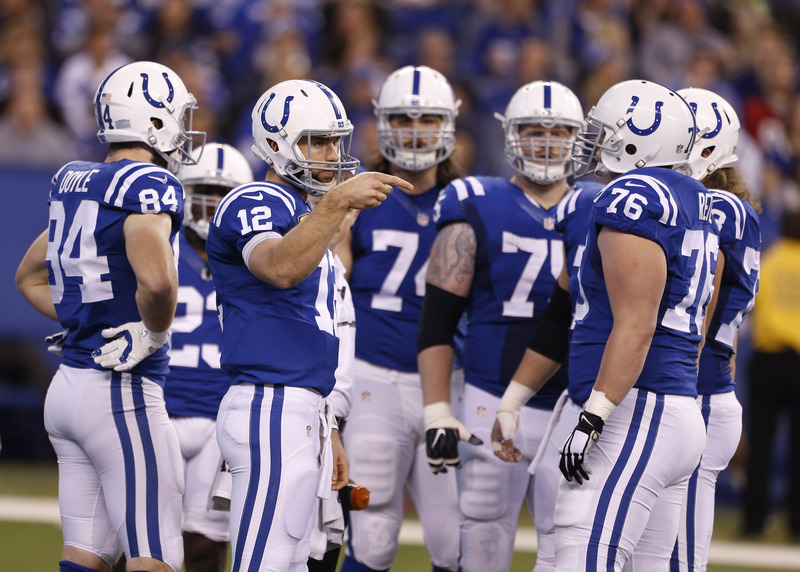 The fact that Indianapolis played in arguably the weakest division in football this past season, and still couldn’t find a way to reach the postseason shows just how much this team struggled in 2016. A healthy Andrew Luck was supposed to help the Colts return to being contenders in the AFC instead of finishing with an 8-8 record for the second-straight season. 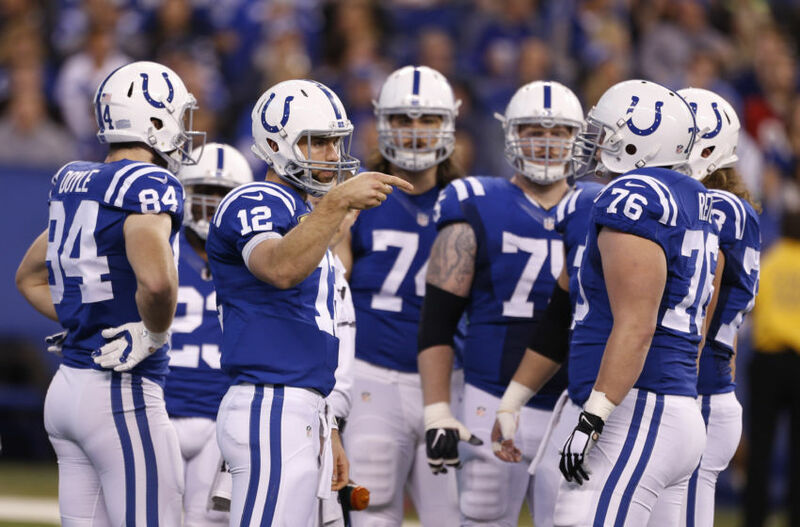 It’s understandable why Indianapolis is so concerned with protecting Luck on offense when seeing all of the money invested in the quarterback, but until this team does something about their defense, each year is going to end up the same by missing out on the playoffs. Irsay was already facing plenty of pressure prior to the 2016 season, and that may not even compare to the amount of scrutiny he’s going to face if the Colts continue to struggle next year. It’s hard to believe the Baltimore Ravens were in the hunt for the AFC North title at the end of the season with the Pittsburgh Steelers, despite finishing with an 8-8 record. Once again, it was the Ravens’ defense that carried the team for a majority of the year, as the offense could have performed better with Joe Flacco under center. 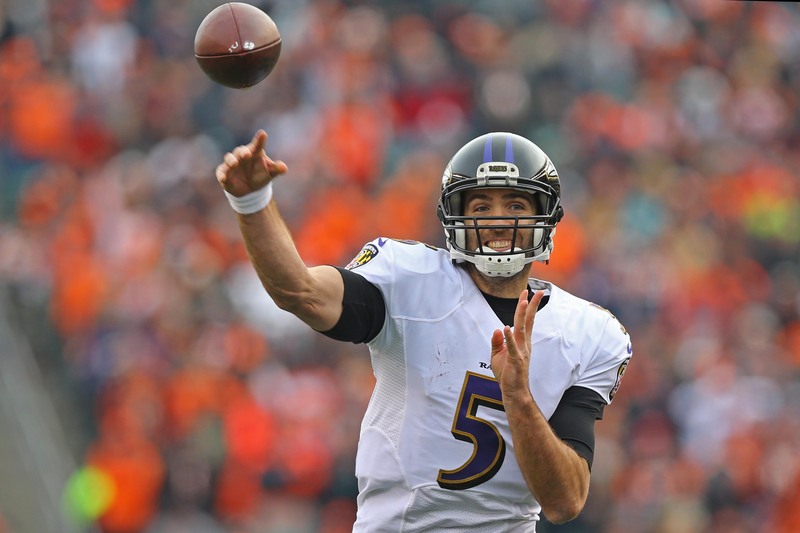 Baltimore’s defense should make them contenders once again heading into 2017, but Flacco and the offense will need to elevate their game to a higher level if that’s ever going to happen. There’s only so much a quarterback like Flacco can do on his own, and with Steve Smith deciding to call it a career, the Ravens will need to make some sort of move by adding another wide receiver, whether it’s through the draft or free agency. No matter what happens, it’s tough not to imagine what could have been for Baltimore this year after falling out of contention by losing three of their final four games during the regular season, two of which came against the New England Patriots and Pittsburgh Steelers. As long as the offense can improve in the offseason, all signs point to the Ravens strongly competing for the AFC North once again in 2017. 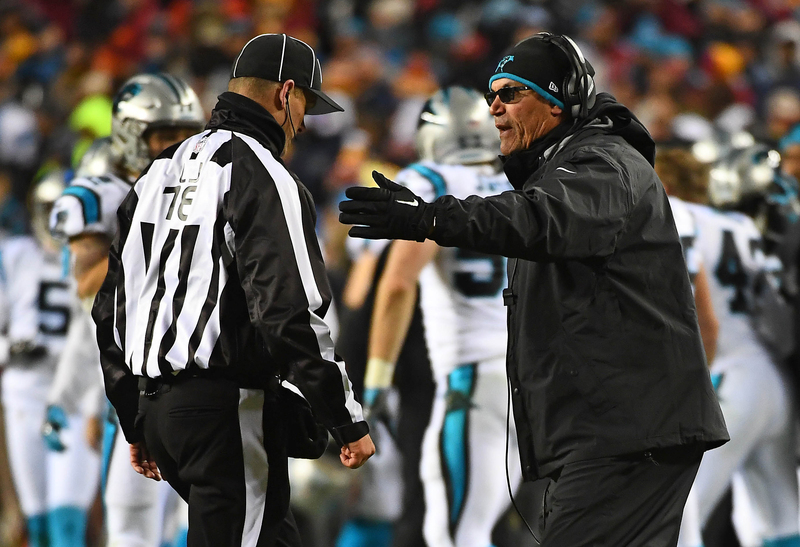 Of all the big surprises from the 2016 season, the Carolina Panthers were right near the top with the rest of them after failing to make the playoffs one year after representing the NFC in Super Bowl 50. What was even more surprising was to see the Panthers finish at the bottom of the NFC South with a 6-10 record, as Ron Rivera‘s squad just couldn’t overcome their unexpected 1-5 start. So what exactly went wrong for the Panthers this time around? For starters, the defense was nowhere close to the dominant level from a year ago when they would constantly cause all sorts of problems for their opponents. Parting ways with Josh Norman at cornerback was a move Carolina believed they could afford to make, but that obviously was far from the case when seeing how much they struggled throughout the regular season. To see Cam Newton go from recording 45 total touchdowns (including rushing) during his MVP season in 2015 to only 24 total touchdowns this season shows how quickly things can change in the NFL. When seeing how competitive Newton has been throughout his career, don’t be surprised if he uses what happened this year as motivation to make sure this team returns to their dominant ways. As if falling short of the playoffs wasn’t already frustrating enough, the Minnesota Vikings basically gave up a first-round pick in this year’s draft for nothing. 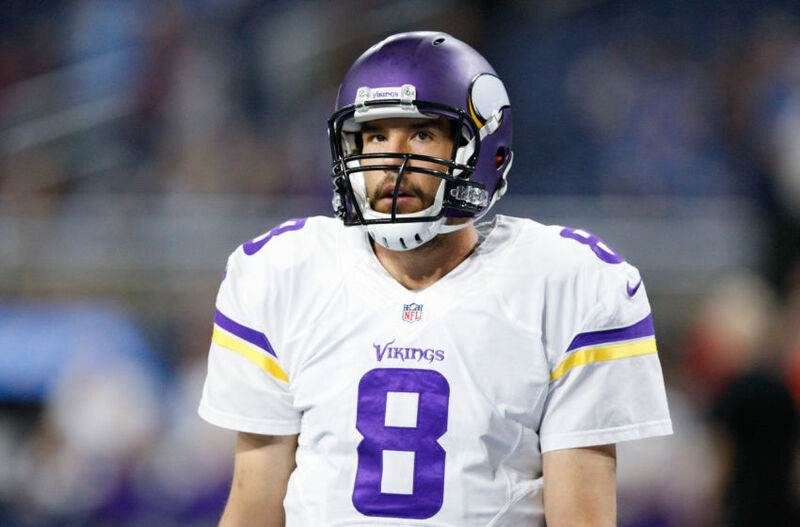 The original plan for the Vikings was to have Sam Bradford help this team remain strong contenders in the NFC after Teddy Bridgewater went down, but that unfortunately never happened thanks to key injuries on both sides of the football. Obviously, Bradford can’t receive all of the blame for how this year turned out in Minnesota, but it’s tough for the team not to feel frustrated over a wasted opportunity, especially after beginning the season with a 5-0 record. The Vikings seemed to be an absolute lock for the playoffs following their impressive start, but nothing was the same after their first loss of the year to Bradford’s former team in the Philadelphia Eagles. Whether Bridgewater will be able to return in 2017 is still up in the air, but even if he does come back, there’s no guarantee the quarterback will be as effective. Not to mention there’s been plenty of rumors heating up about where Adrian Pederson will end up playing next year after the running back was limited to playing in just three games during the 2016 season. For the third season in a row, the New Orleans Saints failed to make the playoffs after finishing with a 7-9 record, putting even more pressure on Sean Payton moving forward. 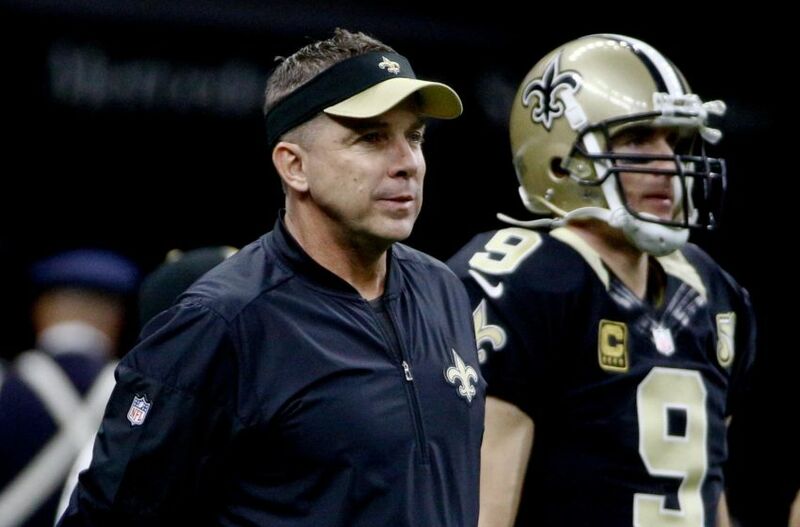 For a head coach getting paid the type of money Payton is making, there’s no excuse for him at this point, even if he was responsible for bringing the organization their first Super Bowl back during the 2009 season. If only the Saints had a legitimate defense, they would easily be one of the toughest teams to defeat in the NFC since the offense finished near the top of the league this year. With that being said, it was unfair to expect Drew Brees and the offense to score more than 30 points per game just for New Orleans to have a shot since the defense consistently failed to do their part. By the way, Brees also proved this season he’s still got a few good years left in him after the veteran threw for 5,208 yards to go along with 37 touchdowns. And if those numbers weren’t impressive enough, it should also be noted that Brees has thrown for 15,030 yards and 102 touchdowns over the last three seasons. In other words, Brees isn’t slowing down and approaching retirement anytime soon unless some drastic injury happens. Isn’t it amazing how quickly the Philadelphia Eagles went from Super Bowl contenders at the beginning of the season to a team that could barely compete with their own division? Reality quickly caught up with the Eagles following that impressive Week 3 victory over the Pittsburgh Steelers, but if there were any positives to takeaway from Carson Wentz‘s first year under center, it would be the rookie gained some unexpected experience that will hopefully benefit him in the long run. The original plan was to have Wentz learn from the sidelines during his first NFL season, but thanks to a surprise trade offer from the Minnesota Vikings in exchange for Sam Bradford, last year’s second overall pick in the draft found himself as the starter in Week 1. 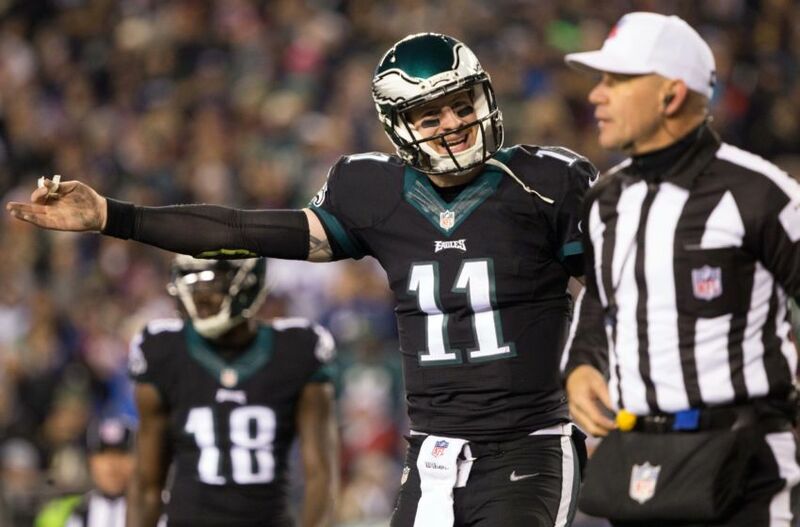 Despite looking impressive at times over the first few games, Wentz eventually started to look like a rookie with some of the costly mistakes he was making under center. Then again, there’s a good chance Wentz’s first year in the league would have been much different if Philadelphia provided him with better options in the passing game. After surrendering a first-round pick to the Cleveland Browns just to acquire Wentz, the Eagles could at least give their franchise quarterback some better help on offense. 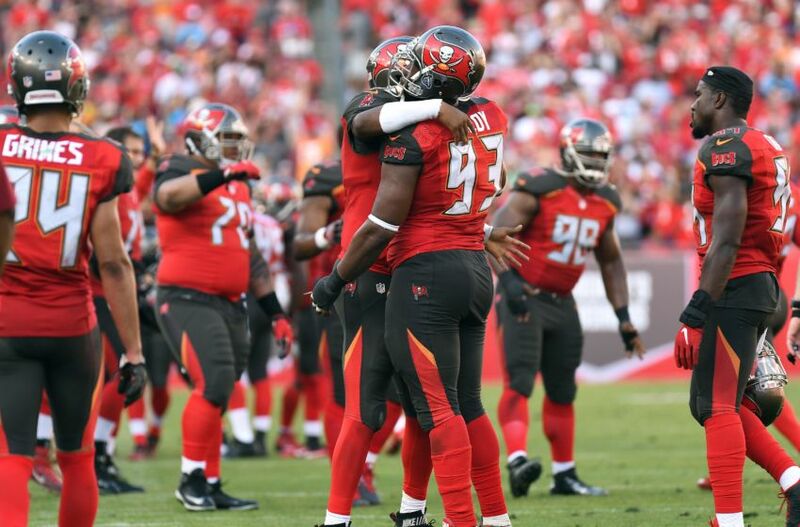 The Tampa Bay Buccaneers have to be kicking themselves for missing out on a perfect opportunity to make the playoffs since they controlled their own destiny heading into the final three weeks for at least earning a Wild Card spot. 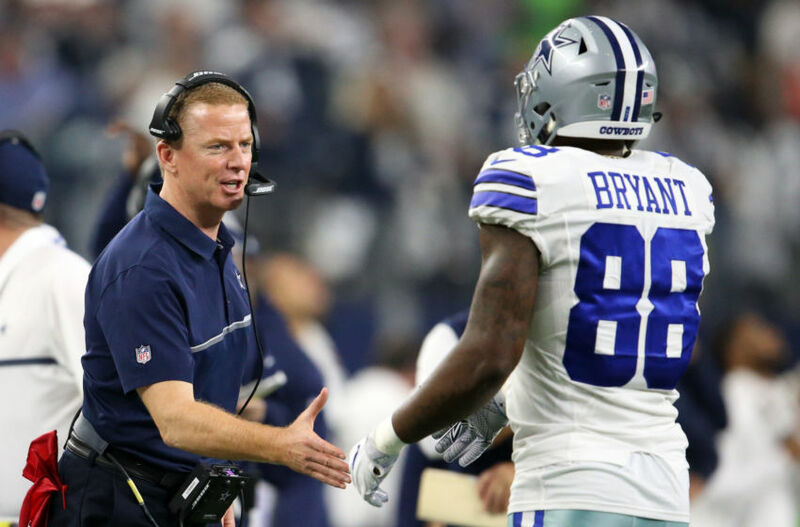 If only the Buccaneers could have found ways to win against the Dallas Cowboys and New Orleans Saints, they could have been participating in the postseason. Despite falling short, it still doesn’t takeaway from the success displayed by Tampa Bay in 2016, as their young defense turned out to be one of the biggest surprises. When the Buccaneers were sitting with a 3-5 record, nobody expected them to get back into the playoff hunt by winning their next five games, including key victories over the Kansas City Chiefs and Seattle Seahawks. 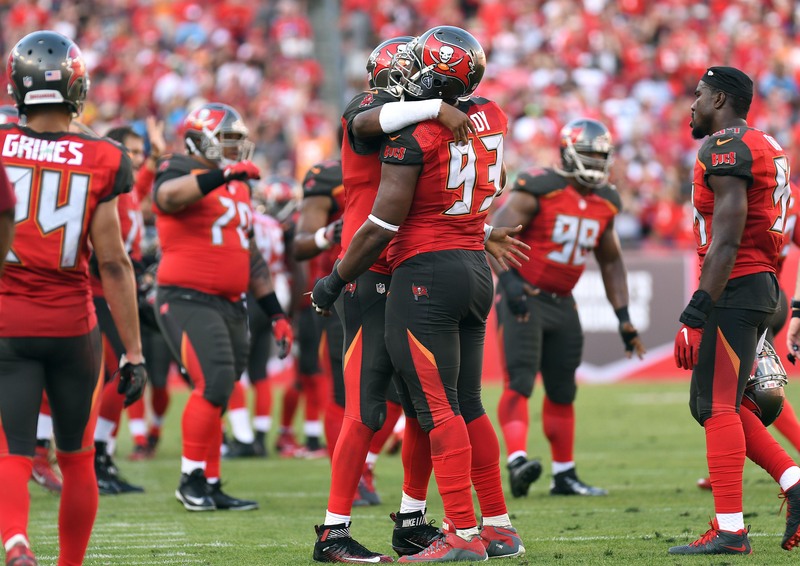 After a 9-7 finish, Tampa Bay is a team to keep an eye on in the NFC heading into next season, and there’s every reason to believe they have what it takes to compete with the rest of the division for the NFC South title. The Buccaneers finally seem to be heading in the right direction after failing to reach the playoffs in each of the last nine seasons. 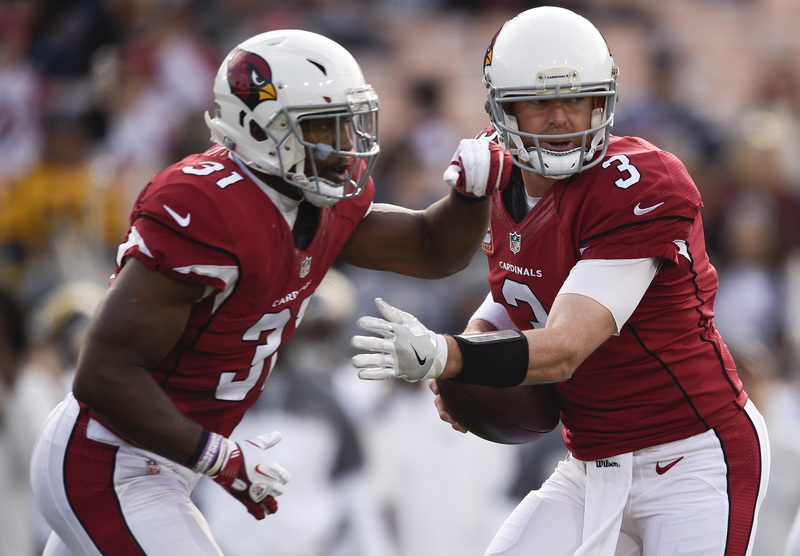 Expectations were high for the Arizona Cardinals heading into the regular season after reaching the NFC Championship the year before, but just like several other teams already discussed on this list, Bruce Arians’ group had some trouble overcoming a poor start. As if letting what seemed like a sure win against the New England Patriots slip away opening weekend, the Cardinals suffered two more tough losses early on against the Buffalo Bills and Los Angeles Rams. Coming up short in games they could have easily won became a popular trend for Arizona, and resulted in the team finishing way behind the Seattle Seahawks in the division with a 7-8-1 record. For a team that was considered a strong Super Bowl contender before the regular season officially got underway, there are no words to describe the level of disappointment on Arizona’s end. 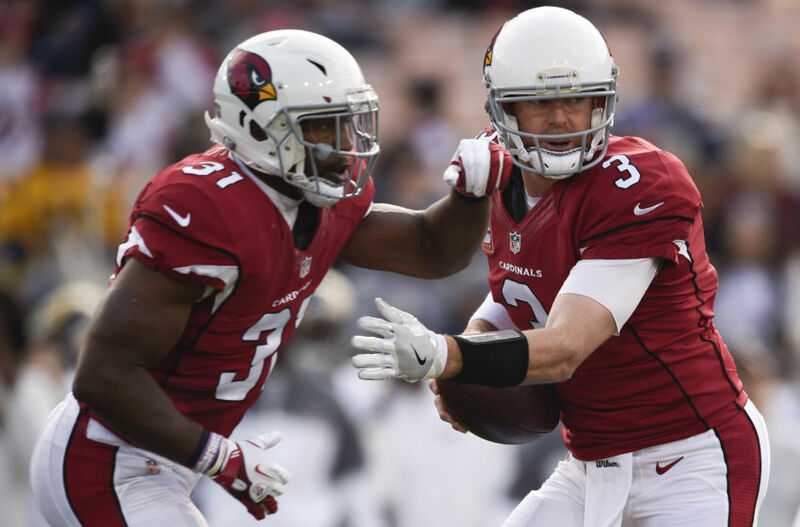 Carson Palmer claims he’s planning on returning for another season at quarterback, but the Cardinals will eventually need to plan for the future when it comes to running the offense. Even if Palmer does return for 2017, the quarterback doesn’t seem to have too many effective years left in him where he would be capable of helping the Cardinals remain contenders in the NFC. 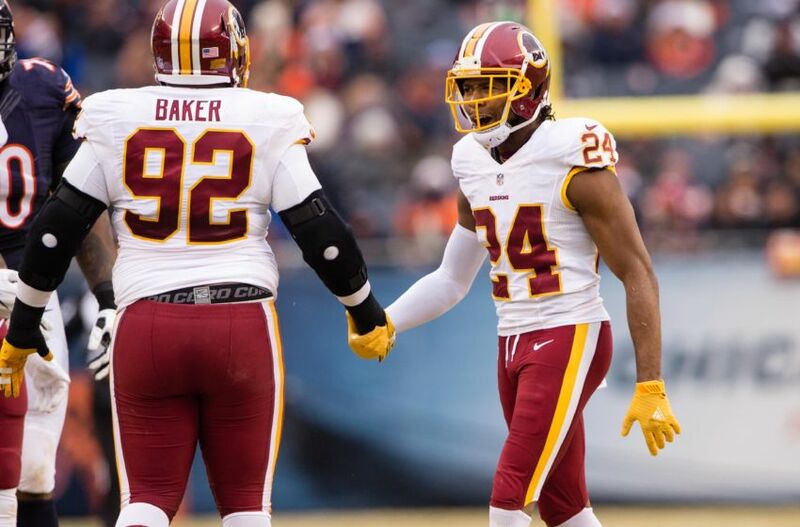 At the end of the day, the Washington Redskins have nobody to blame but themselves for falling short of their goal to reach the postseason since they controlled their own destiny heading into the final week. All the Redskins had to do was win their regular-season finale at home against the New York Giants, a team that had already clinched a spot in the postseason. If only Washington had found a way to win that game against New York, Kirk Cousins would have more leverage for a long-term deal. The Redskins quarterback has been battling for a deal dating back to last offseason, and since he already played 2016 under the franchise tag, it will be interesting to see how the two parties handle this situation over the next few months. Obviously, the last thing the Redskins want to see happen is an unhappy Cousins end up with a different team when seeing the numbers he’s displayed over the last two seasons. Then again, Cousins did make some costly mistakes against the Giants in Week 17 that could have made a difference in the outcome of the game, which could end up costing the quarterback millions of dollars if a future deal is reached. 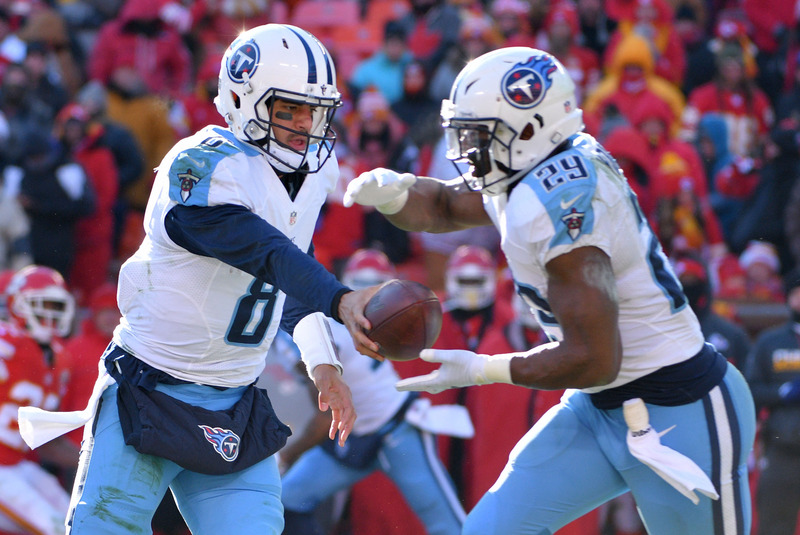 Even if the Tennessee Titans fell short of winning the AFC South, this team has every reason in the world to feel confident heading into next season, assuming Marcus Mariota can return to full strength after his devastating leg injury. 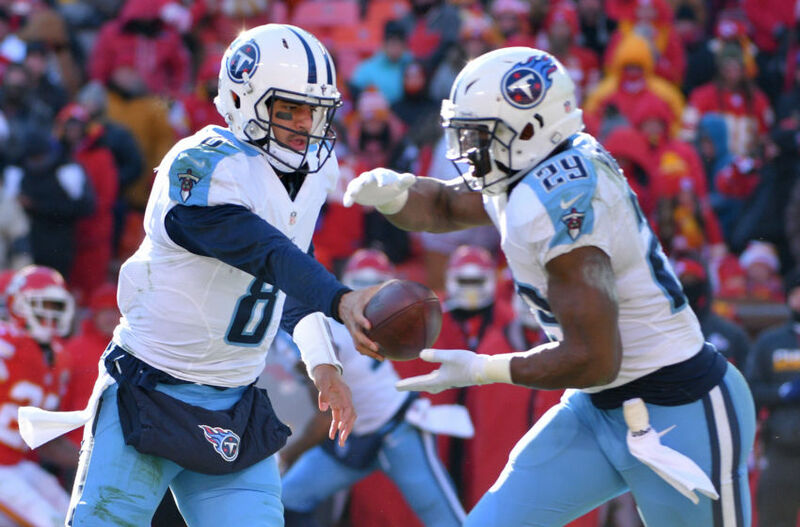 Thanks to a 9-7 finish, the Titans ended up being one of the biggest surprises from 2016 after having the worst record in football the year before. 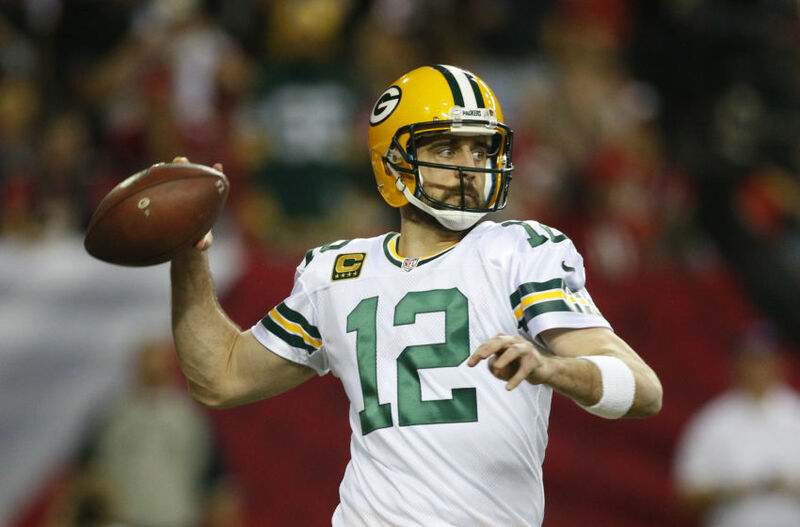 From the Green Bay Packers to the Kansas City Chiefs, Tennessee put together plenty of impressive victories this year to show they have what it takes to compete with some of the best teams in the NFL. 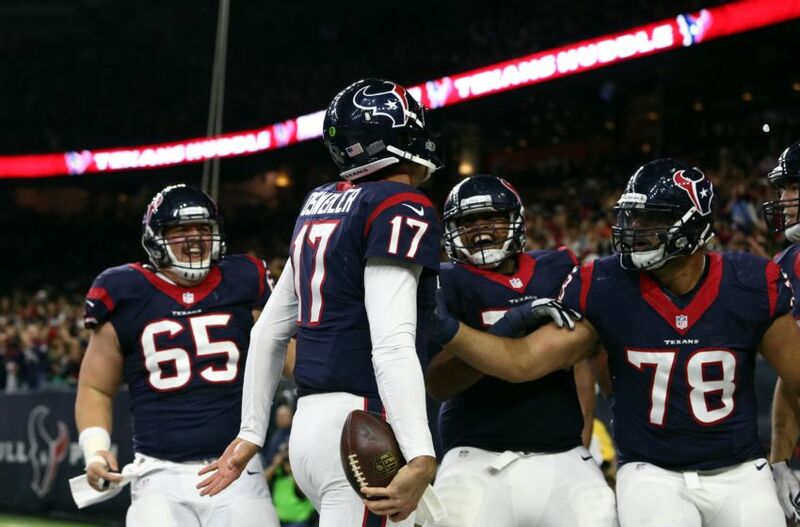 If only the Titans didn’t let a few key games slip away, they could have easily won the division over the Houston Texans. Hopefully, Tennessee uses falling short of the playoffs as motivation to make sure that doesn’t happen again in 2017 since their confidence level should be at a much higher level. What’s even more exciting for the Titans is thanks to the struggles behind the Los Angeles Rams, they also receive the fifth overall pick in this year’s draft thanks to the Jared Goff deal last offseason. Having two first-round picks for a team like the Titans that fell just shy of the playoffs, now that’s scary to think about. When looking at the level of competition in the AFC, who would have thought it would be the Miami Dolphins of all teams to earn a Wild Card spot? Adam Gase took over as head coach knowing he would have quite the workload cut out for him with the Dolphins, but he somehow managed to help this team save their season after a rough 1-4 start. From there, Miami would end the regular season by winning nine of 11 games to setup a first-round matchup with the Pittsburgh Steelers during Wild Card weekend. The Dolphins may have embarrassed themselves in that game against the Steelers, but keep in mind the circumstances would have been much different with a healthy Ryan Tannehill. The New England Patriots have finished on top of the division in each of the last eight seasons, but do the Dolphins have it in them to overtake their rivals? It may seem like a long shot after watching their historic comeback in the Super Bowl against the Atlanta Falcons, but Miami shouldn’t be ruled out if they can be successful like they were during the regular season. 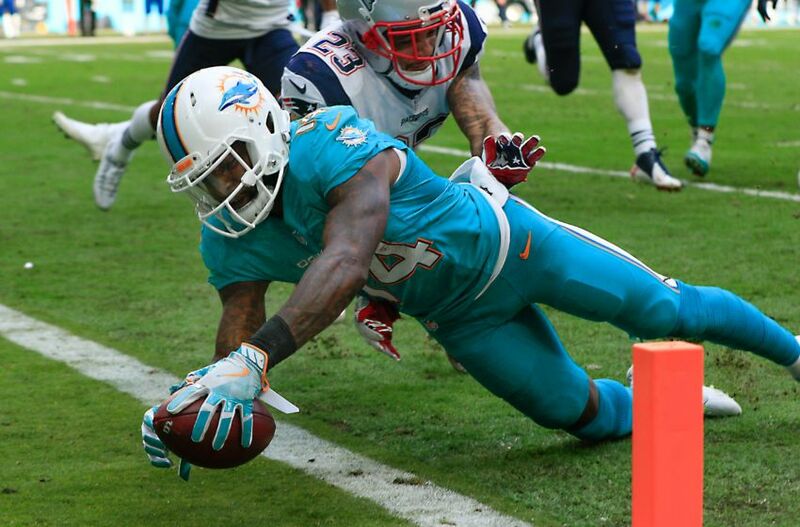 Of course, whether that happens for the Dolphins could come down to the health of Tannehill. Isn’t it difficult to believe the Detroit Lions were in position towards the end of the regular season to potentially earn a first-round bye in the playoffs with the chance for the No. 2 seed? The Lions may still have earned a spot in the postseason, but watching them lose their final four games, including playoffs, was painful to witness. 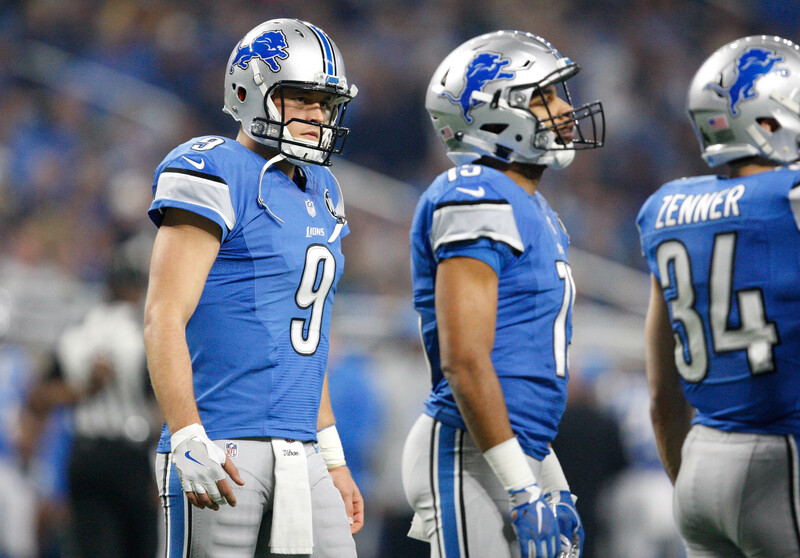 Throughout the season, Detroit established a reputation for being a team that should never be ruled out after seeing all of their epic comebacks in the fourth quarter. None of these comebacks would have been possible without Matthew Stafford, and even though he claimed it wasn’t an issue, it was clear over the final games that his finger injury was bothering his playing ability. 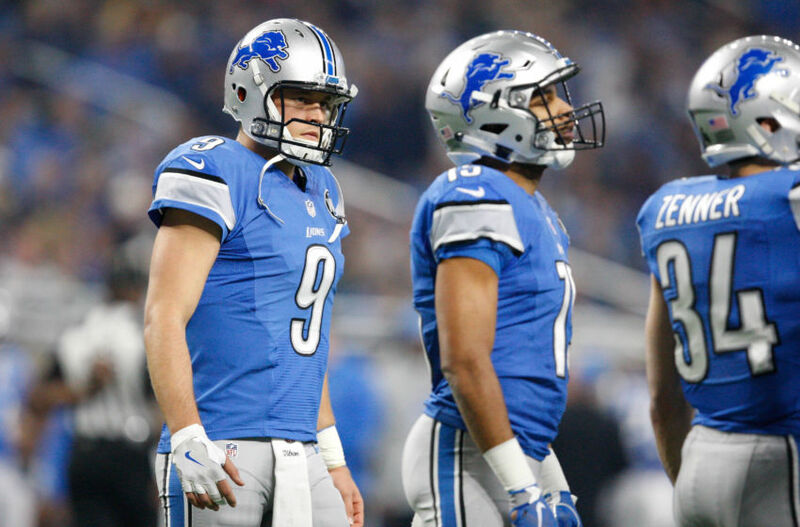 Who knows what would have happened with the Lions if Stafford was fully healthy, but at least they overcame expectations during their first year without Calvin Johnson after the wideout shocked the NFL with his retirement. Stafford has always been considered one of the most underrated quarterbacks in the league, and here’s to hoping he can lead Detroit on another playoff run when next season rolls around to make it interesting in the NFC North with the Green Bay Packers. 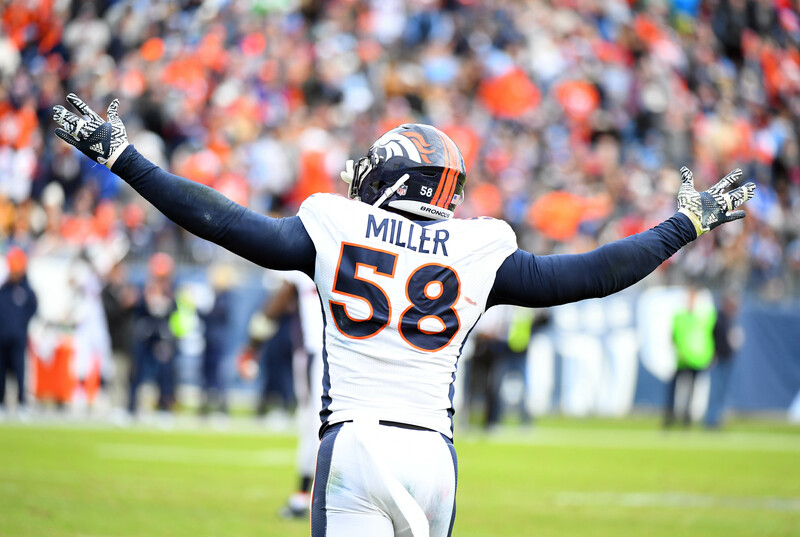 With their defense leading the way to a Super Bowl in 2016, early signs indicated the Denver Broncos would be one of the top teams to beat in the AFC once again before falling apart in the second half. Everything was going well for the Broncos after a 6-2 start, but losing five of their final eight games prevented the team from having the chance to defend their title in the postseason. Not to mention, the emergence of the Oakland Raiders along with the Kansas City Chiefs remaining contenders made the AFC West more difficult than normal to play in this year. Denver had plenty of opportunities to gain an edge in the division race, but Oakland and Kansas City ended up being too much for them when it mattered the most. This year’s results may motivate the Broncos to play with an extra chip on their shoulders, but it should also be noted the team will be going through a bit of transition with the coaching staff now that Gary Kubiak has called it a career. 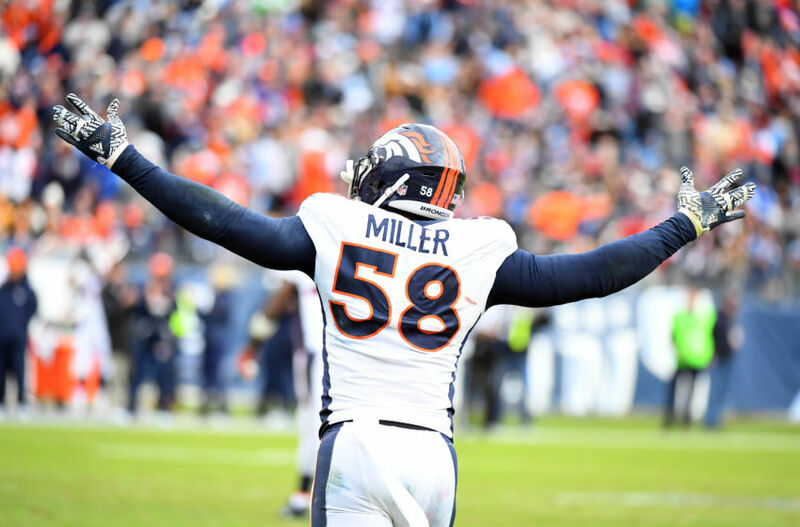 The potential is certainly there with Vance Joseph, but the new head coach also has to deal with the very high expectations right away in Denver. 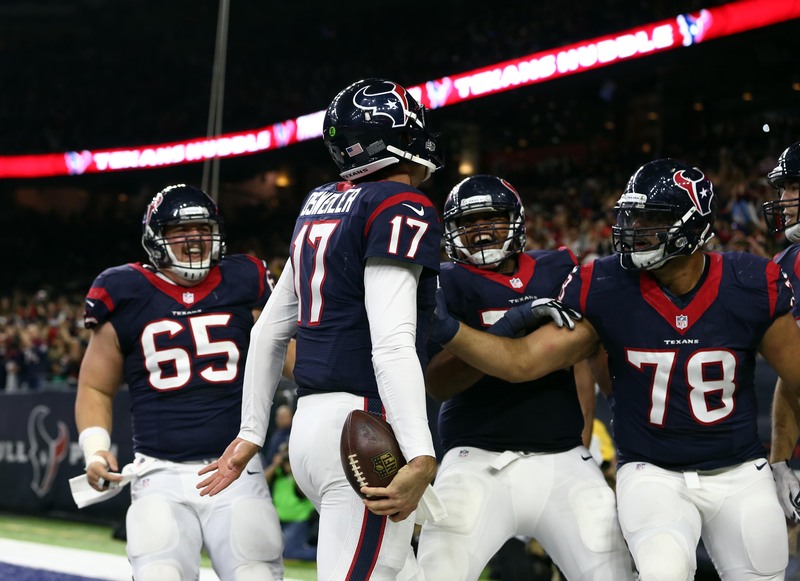 When it comes to the biggest regrets from the 2016 season, it’s hard to top the decision by the Houston Texans to reward Brock Osweiler with a contract he clearly doesn’t deserve. Watching Osweiler earn the money he’s making despite throwing more interceptions than touchdowns during the regular season is simply pathetic to think about. To top it all off, the argument will always be made that Houston could have taken down the New England Patriots in the Divisional Round of the playoffs with any other quarterback under center besides Osweiler. For the most part, the Texans’ defense did everything they were supposed to by keeping Tom Brady in check, and even found a way to record two interceptions on the future Hall of Famer, matching his total from the regular season. Even if Houston wanted to give up on Osweiler, it would be more difficult to do thanks to all of the guaranteed money listed in his contract. This team has spent years establishing one of the league’s top defenses, and has always been a reliable quarterback away from reaching their true potential. Until Osweiler proves himself worthy, the quarterback position is going to continue holding Houston back from a contender standpoint. After seeing how successful they were during the regular season, it was a major disappointment to see the New York Giants fall apart in the playoffs against the Green Bay Packers. But of course they deserve some benefit of the doubt since were playing a Packers team led by Aaron Rodgers that was playing out of their minds at the time. On the bright side, at least the Giants found success during Ben McAdoo‘s first year as head coach after previous recording three-straight seasons of losing records. 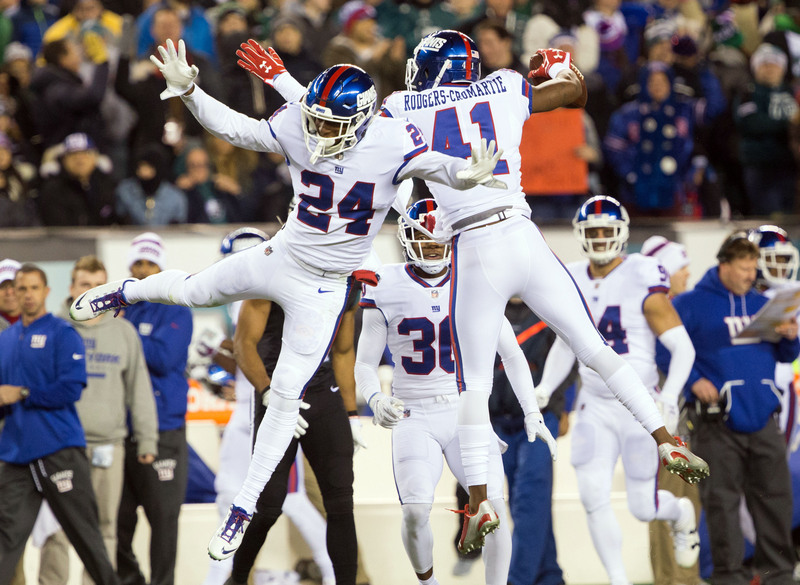 Last year, one of New York’s biggest struggles was their inability to closeout games in the fourth quarter, but thanks to an improved defense, that was no longer an issue for McAdoo’s squad. 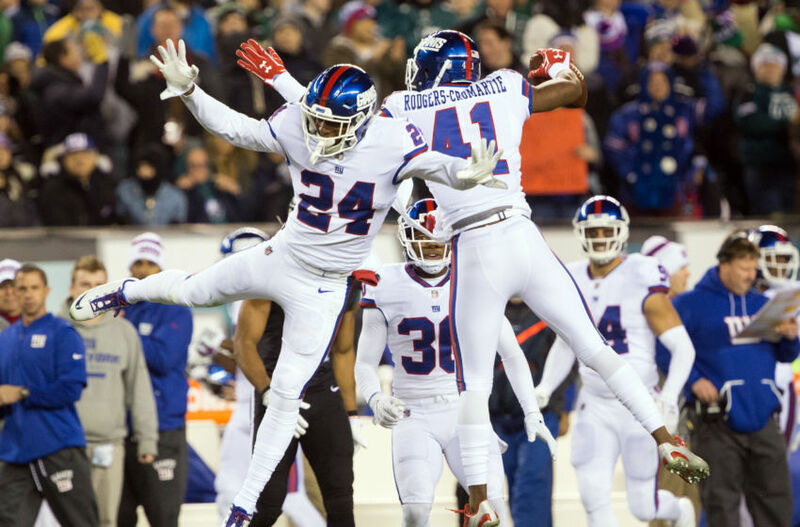 The Dallas Cowboys may have finished with the best record in the NFC during the regular season, but the Giants may have the best shot to give them a run for their money when it comes to the division title. Let’s not forget it was New York that defeated Dallas in both meetings during the regular season in 2016, and there’s nothing they would love more than to take the NFC East title from their rivals as well next year. For the third time in four years, it was the Seattle Seahawks that finished on top of the NFC West, but there was something different about this squad in 2016. Over the years, the Seahawks’ defense was always considered one of the best in the league, and while they certainly looked good at times, Pete Carroll‘s unit wasn’t as dominant. Just look at their performance against the Atlanta Falcons in the Divisional Round, and it’s clear Seattle was a completely different team from the last few years. Along with the defense looking different, the Seahawks also had to adjust to life without Marshawn Lynch in the backfield after the running back decided to call it a career after last season. Due to Lynch’s retirement, Seattle’s ground game struggled to stay consistent for a majority of the year, and it’s safe to say it added extra pressure on Russell Wilson running the offense. Thomas Rawls did manage to put display some impressive performances, but the running back unfortunately experienced some injuries that prevented him from being consistent. 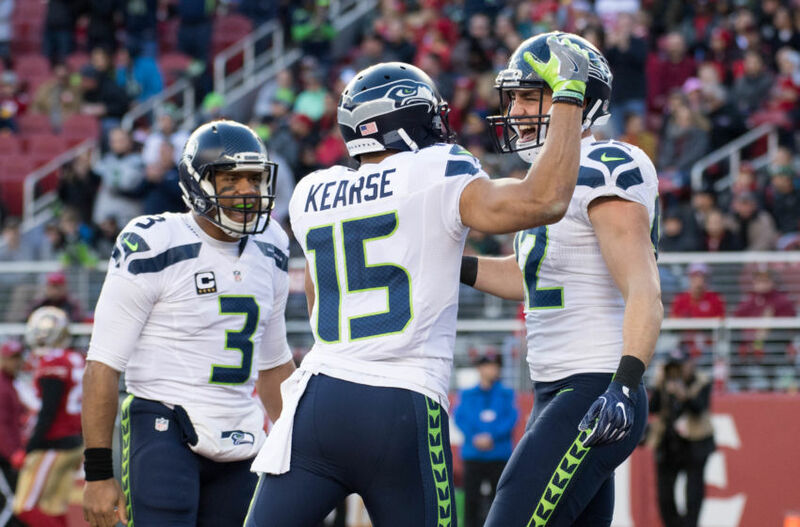 Despite all of this, there’s no reason to believe the Seahawks won’t be contenders next season, especially since they have an extra advantage of playing in one of the weakest divisions in the NFC West. Being a Kansas City Chiefs fan has to be rough when seeing how the team always seems to look like a Super Bowl contender heading into the playoffs, only to fall short of reaching the big game each time. 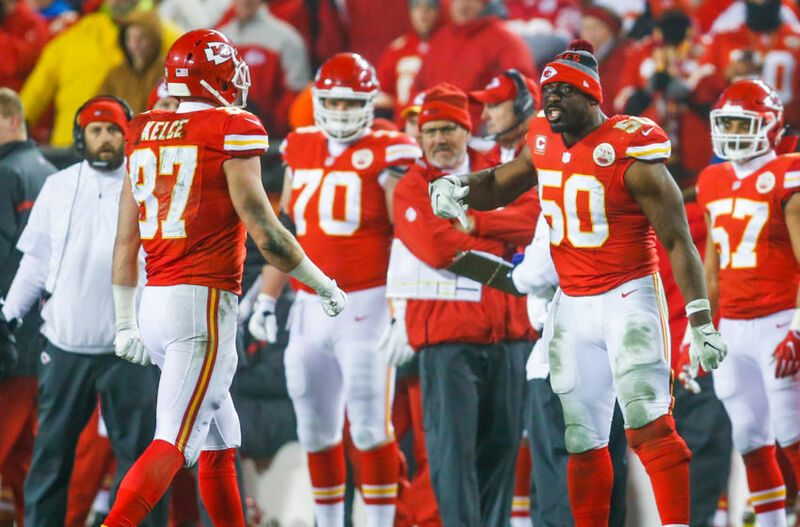 This year was no different for Andy Reid and company after falling just short of reaching the AFC Championship following a heartbreaking loss to the Pittsburgh Steelers. What made the loss even more difficult to accept was the fact that Kansas City prevented Pittsburgh from scoring a single touchdown that game, and they still ended up on the losing side. 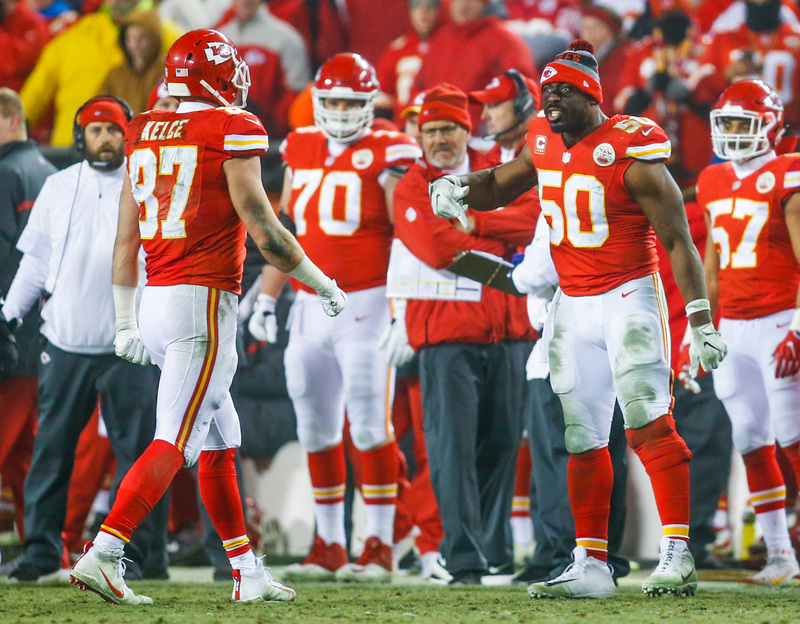 It’s never easy for a defense to prevent a dangerous offense like the Steelers from scoring a touchdown, so the Chiefs’ defense deserves plenty of credit for the way they played in this one. Really, it’s a shame the Chiefs’ offense couldn’t come through on their end with a better performance against the Steelers at Arrowhead. One of these days, Kansas City is going to finally get over the hump by finally reaching the AFC Championship, but they better figure out a way to do it soon since the talent is certainly there on both sides of the football to remain contenders. It was one thing for the Oakland Raiders to lose Derek Carr to injury right before the start of the playoffs, but now the fan base has to deal with the likelihood of this team making the move to Las Vegas. After witnessing all the years of suffering and losing, Raiders fans finally caught a break this year when their beloved team earned one of the Wild Card spots in the AFC playoffs. 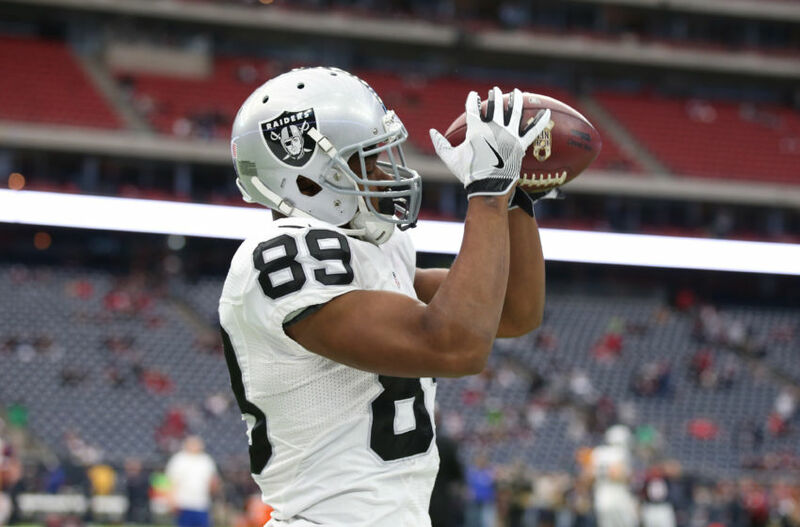 One can only imagine how the situation would have played out against the Houston Texans with a healthy Carr in the lineup, but at least the Raiders seem to be in good shape to remain contenders for years to come. Thanks to Carr having one of the league’s top duos at wide receiver in Amari Cooper and Michael Crabtree, there’s no reason why this team shouldn’t be able to compete for the division title once again with the Denver Broncos and Kansas City Chiefs. Who knows, maybe if all goes well during his recover, Carr will return even stronger, and find himself in the conversation to win MVP next year. First thing’s first though for Carr, which is getting healthy enough to be ready for September. Give the Green Bay Packers for almost puling the unthinkable by running the table to win the Super Bowl when all hope seemed lost in the middle of the season. It’s not an easy task to win the final six games of the regular season just to get into the playoffs despite numerous injuries on both sides of the football, but the Packers found a way to do so, and even came close to representing the NFC in this year’s Super Bowl. Even if they simply ran out of gas, and were embarrassed by the Atlanta Falcons in the NFC Championship game, at least the Packers will be remembered for taking down the Dallas Cowboys in the Divisional Round of the playoffs. The fact that Green Bay found a way to make it as far as they did in the playoffs despite not having a real running game due to injuries was simply amazing to witness, and with key players like Eddie Lacy hopefully returning to full strength, this team seems like the early favorites to win the NFC North for the second year in a row. 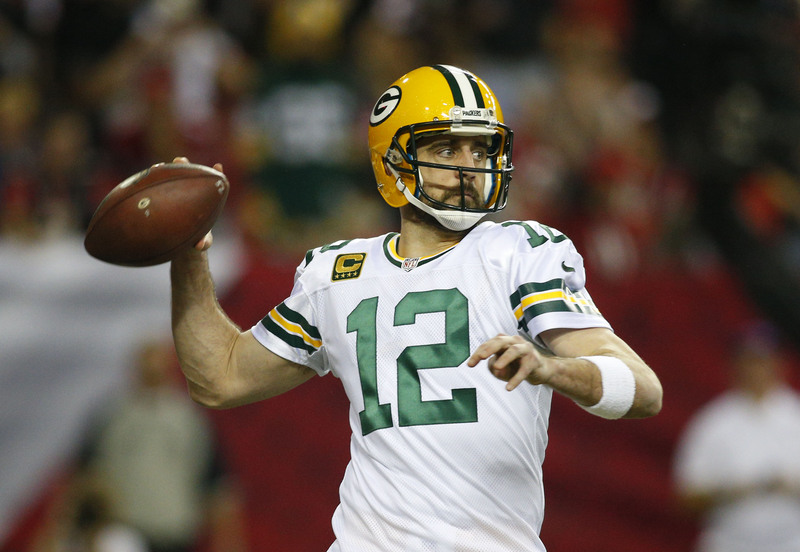 Plus, with the way their dreams of reaching the Super Bowl were shattered in Atlanta, there’s no question the determination of Aaron Rodgers will be at a whole new level. He of all players realizes how close the Packers were to almost pulling off what would have been one of the greatest Super Bowl runs in history against all odds, and Rodgers now has an entire offseason to think about it. Before the regular season officially got underway back in September, the offense of the Pittsburgh Steelers was expected to break numerous records, and rightfully so when looking at the weapons Ben Roethlisberger was fortunate enough to work with. It’s one thing to have an explosive playmaker like Antonio Brown as a top target in the passing game, but having Le’Veon Bell in the backfield made life much easier for Big Ben. Unfortunately for the Steelers, the team caught a tough break in the AFC Championship game when Bell was forced to leave with an injury. 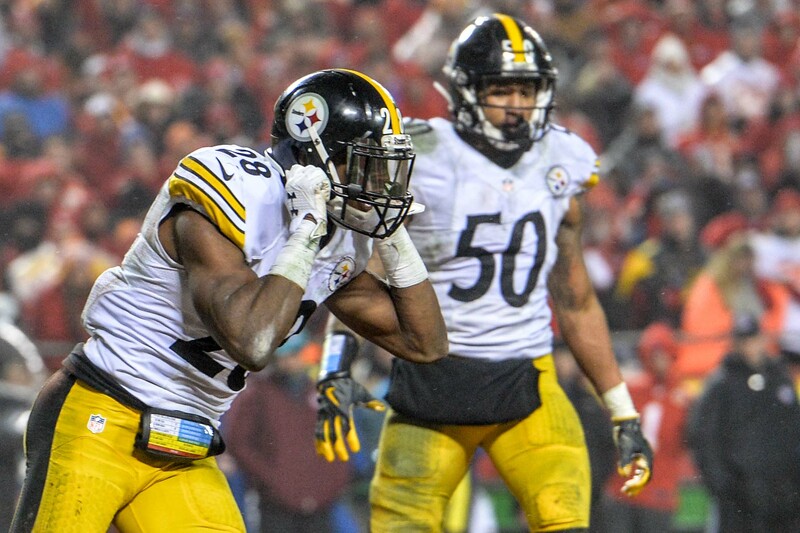 During his short career, Bell has proven to be a workhorse, and it was on display over the first two playoff games against the Miami Dolphins and Kansas City Chiefs. Having Bell against the Patriots would have made a huge difference for the Steelers on offense, but unfortunately it was one of those tough breaks they just couldn’t do anything about. Assuming all goes well in the offseason with rewarding Bell with a new deal along with Roethlisberger avoiding retirement for at least one more season, Pittsburgh should be in solid shape to make another Super Bowl run. Of course, the Steelers will have to deal with the Patriots standing in their way. With the fourth overall pick in the 2016 NFL Draft, the Dallas Cowboys knew Ezekiel Elliott was too much of a stud to pass on when seeing the type of career he put together during his time at Ohio State. Even later in the draft when Dak Prescott was selected, the Cowboys had a feeling the rookie had potential to develop into the perfect replacement for Tony Romo when the time was right. 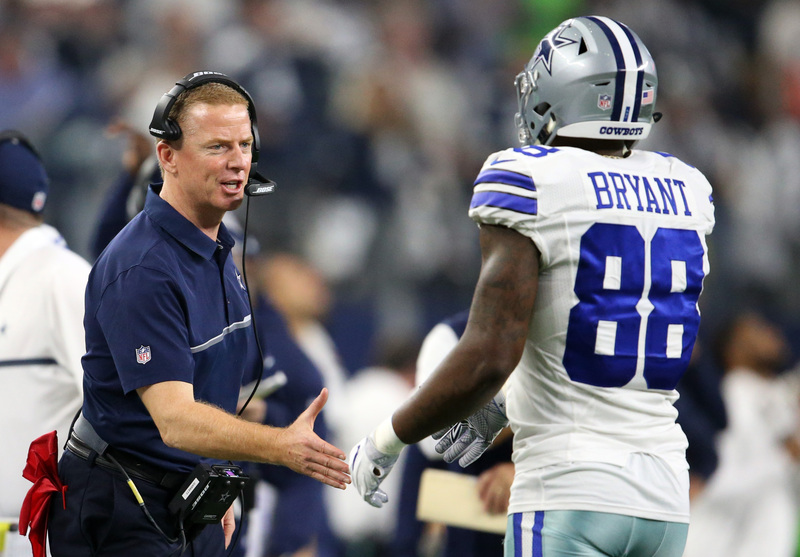 Turns out, that time came faster than expected as these two rookies helped Dallas become one of the biggest and best surprises from the 2016 season after finishing with a 13-3 record. Even if their dreams of reaching the Super Bowl fell short following a heartbreaking loss to the Green Bay Packers, it’s scary to think about the potential surrounding the Cowboys’ offense if they already dominated this much with two rookies leading the way. If they managed to earn the No. 1 seed in the NFC during Prescott and Elliott’s first season, just imagine what could be in store for them in year two with the Cowboys. As for Romo’s future with the team, only time will tell where the veteran ends up for the 2017 season, whether it’s with Dallas or a completely different team. In all honesty, it’s going to take the Atlanta Falcons a long time to recover from their epic collapse against the New England Patriots in the Super Bowl. It would have been one thing if the Falcons blew a regular lead in the fourth quarter, but to allow the Patriots to overcome a 28-3 deficit before eventually going on to win in overtime is one tough pill to swallow. Atlanta could not have asked to be in a better position in the Super Bowl with a lead like that, and they have nobody to blame but themselves for the outcome. At the end of the day, the Falcons simply just looked gassed against the Patriots in that final quarter of play, as the experience factor certainly caught up when it mattered the most. No one can imagine the awful feeling Atlanta is dealing with at the moment, but let’s look at the positive factors heading into next season. 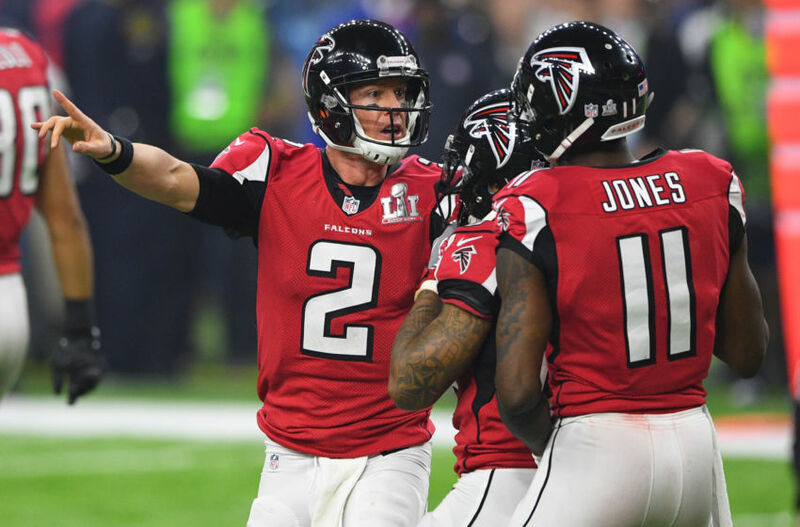 On top of Matt Ryan coming off an MVP season in which he threw for 4,944 yards with 38 touchdowns and just seven interceptions, all signs point to the rest of the Falcons’ offense continuing to be a dangerous threat. Even the weapons beyond Julio Jones have proven to be effective, and expect Atlanta to make a push for another trip to the Super Bowl with hopefully better results. 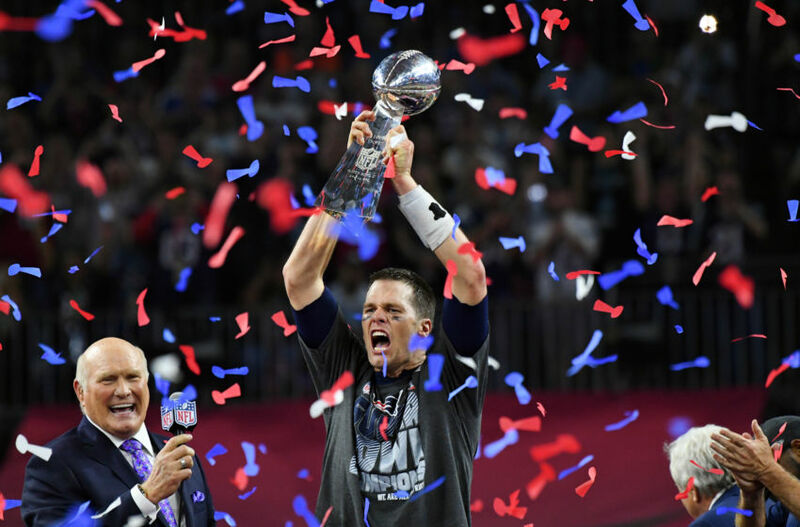 Football fans were lucky enough to witness history and greatness all at the same time thanks to the New England Patriots pulling off an epic comeback against the Atlanta Falcons in Super Bowl 51. Most teams trailing by 25 points in the second half would have thrown in the towel, and accepted the loss, but not the Patriots. Instead of hitting the panic button, New England fought their way back against Atlanta one play at a time to tie up the game in the final minute before going on to win 34-28 in overtime. Tom Brady has pulled off some amazing rallies throughout his career, but nothing will ever top what football fans witnessed in this year’s Super Bowl. Ever since their future Hall of Fame quarterback was forced to sit out the first four games of the regular season, the Patriots have been a team on a mission to prove Roger Goodell wrong over Brady’s Deflategate suspension. To see New England win the Super Bowl despite all of the obstacles standing in their way at the beginning of the year shows just how truly special this unit is. The scary thing is, the Patriots seem capable of defending their title next year, and deserve to be sitting in the top spot heading into the offseason since Brady doesn’t appear to be slowing down anytime soon.